A federal court will hear arguments Thursday over whether to temporarily block Kentucky’s new ultrasound abortion requirement. 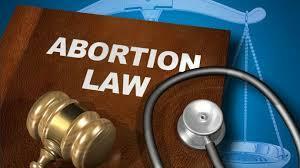 The American Civil Liberties Union is suing the state over the new law on behalf of the last abortion provider in Kentucky, EMW Women’s Surgical Center in Louisville. The new law, which has been in effect since Jan. 9, requires doctors to perform ultrasounds on women seeking an abortion and narrate a detailed description of the unborn fetus while performing the procedure. The law was one of the first policies passed by the Republican-led state legislature this year. Republicans have control of both legislative chambers and the governor’s office for the first time in state history. Gov. Matt Bevin also signed into law a policy banning abortions after the 20th week in pregnancy. The lawsuit is being heard by U.S. District Judge David Hale in Louisville. Copyright 2017 WFPL-FM. To see more, visit WFPL-FM. The observers included two people with completely different perspectives. In an extremely rare Saturday meeting of the Kentucky General Assembly, legislators took final action on abortion and labor-related bills. Both the House and Senate voted to prohibit abortions after 20 weeks of pregnancy and require an ultrasound prior to any abortion. A Kentucky appeals court Wednesday ordered a Lexington clinic to stop performing abortions until it gets a license from the state. Republican Gov. Matt Bevin says EMW Women's Clinic has been performing abortions without a license. The clinic's owner says he is exempt from the licensure requirement because the clinic is a private physician's office. Bevin sued, asking a judge to force the facility to close.